Does Actually Life Exist On Mars? The study by those at the University of Michigan found that at the right temperature water could form, enhancing the theory that the planet can support life. Water in its liquid form can exist on Mars but only during the summer and spring months and only for a couple of hours at a time, according to a new study. 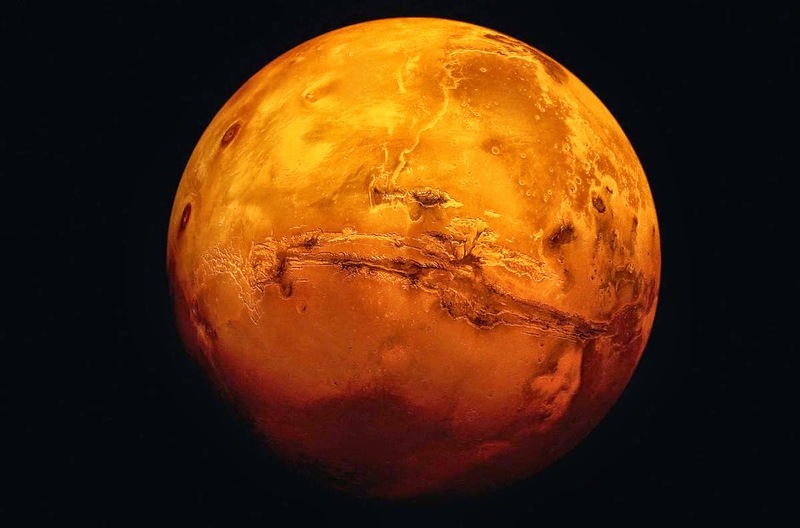 Researchers at the University of Michigan have found that despite Mars’ sub-zero temperatures, small amounts of liquid water are able to form on the planet’s surface at the right temperature and with the presence of salt - furthering the idea that the planet can support life. The findings were made after the research team at the University of Michigan created special chambers to imitate the freezing conditions found on the surface of Mars. In these chambers, it was found that that water in its liquid form could be produced for short periods of time. The study also found that this would only be possible if a type of salt, found on Mars last year, was present. In 2008, the lead researcher of the latest study, Dr Nilton Renno, discovered water beads on the leg of the Phoenix Mars Lander, one of NASA’s Mars rovers, just after it had landed on the planet’s surface. It was Renno’s theory that the water found on the spacecraft was created after salts had melted the ice underneath the Phoenix and found their way onto the spacecraft when the craft’s thrusters blasted away the surface’s topsoil.